In Ye Olden Days of Yore the London Borough of Chelsea wasn't known for its overpaid football team, its annual celebration of flowers or its fancy-pants fashion stores. Back in the Eighteenth Century it was known for The Chelsea Bun House. A House that sold buns of such finesse that author Sir Richard Phillips proclaimed that their 'delicate flavour, lightness and richness have never been successfully imitated'. Owned by the rather fittingly named Captain Bun (I'm not making this up, honest) the Bun House attracted nobility, gentry and even royalty. George II, his son George III and his wife Queen Charlotte were all loyalty-card carrying customers. The modern day equivalent of Her Majesty popping out to Gregg's for an Iced Finger for Prince Philip is now imprinted on my mind. And it wasn't just the sticky, sweet, currant-filled Chelsea Bun that the Bun House was famed for. Each Good Friday, the Bun House would sell up to twenty five thousand Hot Cross Buns to huge, hungry crowds that would have been gathering since three o clock that morning. By 1793, so 'alarmed and annoyed' were the neighbours by the 'tumultuous assembly' that would gather, the Bun House elected to stop selling Hot Cross Buns. I'm certain they soon realised the financial implications of this decision as by the very next year the Hot Cross Buns were back on sale. 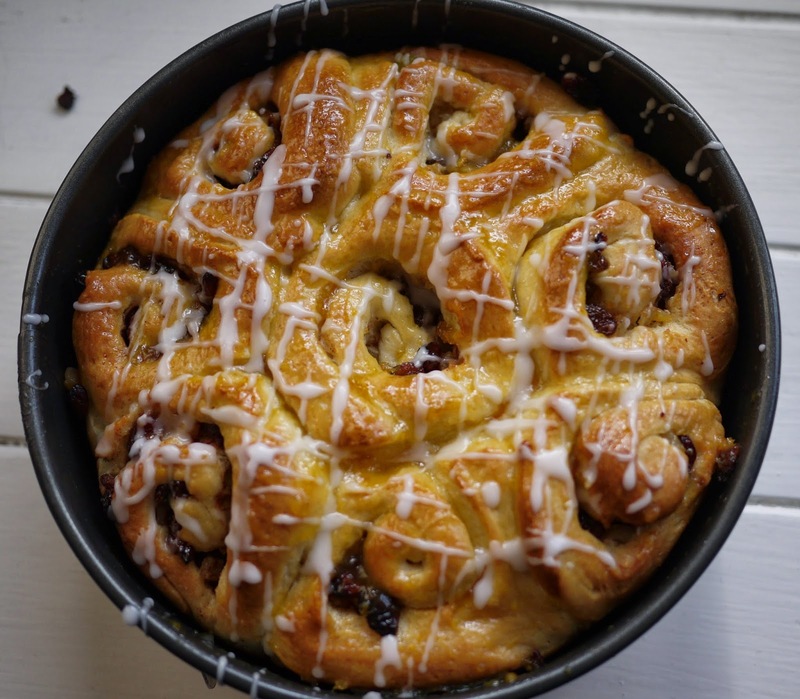 Although the traditional Chelsea Bun contains a combination of currants, sultanas and peel, generously spread with butter and brown sugar, they can make the perfect base for a variety of sweet fillings. 1. Put the flour, yeast, sugar with 1 tsp salt into a large mixing bowl and mix well. Pour in the milk with 50ml warm water, the egg and butter and mix to form a dough, initially with a wooden spoon then with your hands. 3. Grease a 23cm round baking tin. Knock back the dough and turn out onto the work surface. Roll out into a large rectangle and brush with the melted butter. Sprinkle over the cinnamon, sultanas and dried apple. My Chief Tester (my husband) made very certain his point that he'd never, ever usually choose a bun as a sweet treat but these had changed his mind. He received many brownie points. Dan Lepard adds a little Vitamin C to his buns for added lightness. How do you make yours? Captain Bun? Are you sure you're not making it up Kate? 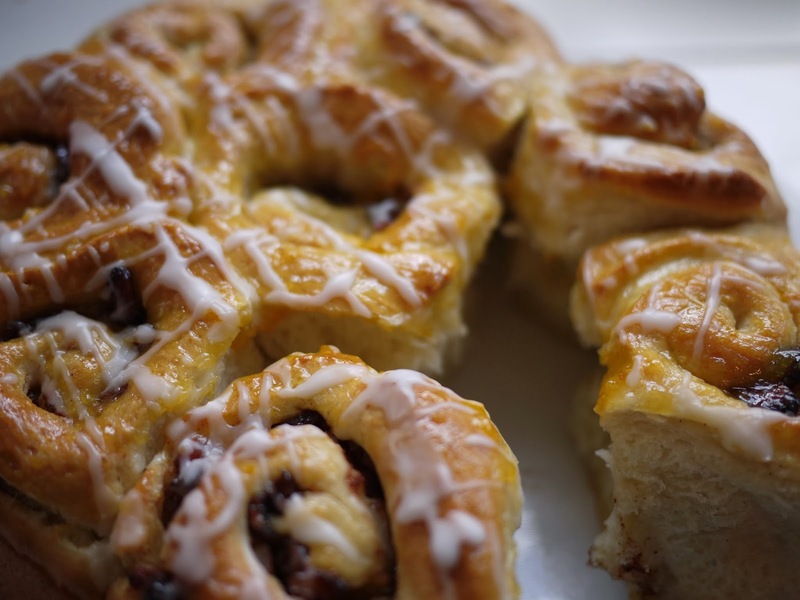 Interesting to learn about the Chelsea bun and your pictures have me desperate to try one. these look awesome! these have been on my to bake list for a while....seeing your yummy ones have moved them up the list for sure. I love the sound of the filling in these. Delicious! I love a Chelsea bun and these look like fine Chelsea buns. I really like the notion of the dried apple. I confess that I normally make these using a bread machine to produce the dough. I often see overpaid Chelsea footballers around here (I live near the training ground) but I've never seen one eating a bun. I did see one taking photos of his tomato soup not long ago, though. I love chelsea buns and Phil is right these looks perfect. Love your little touch of history too. Thank you for sharing. Love the addition of apple - it always works so well with sultanas and cinnamon. Choclette- I promise I'm not making up Captain Bun even though I appreciate it sounds like a great Children's storybook! Caked Crusader- Delivery fees are hefty I'm afraid but maybe I should charter a 'Bun Bus'? 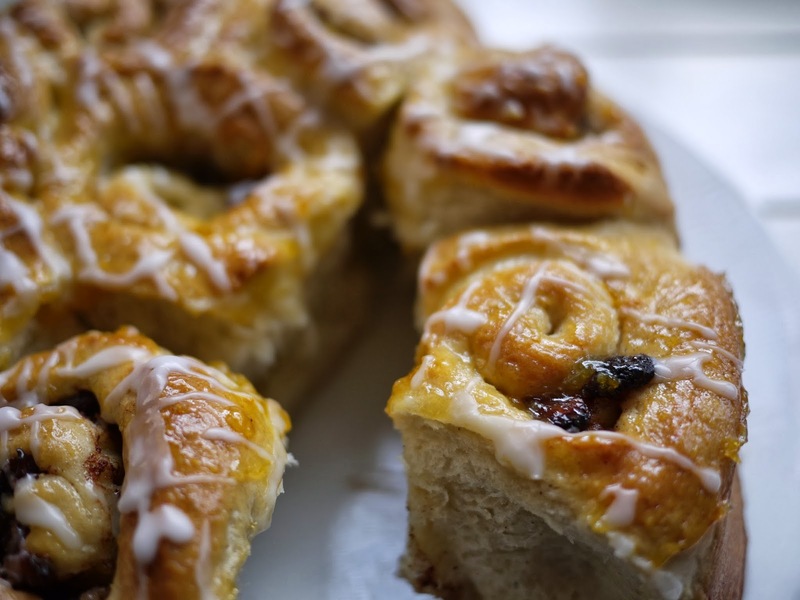 Fantastic looking chelsea buns, love the addition of apples. I've always fancied making them but always get scared away by recipes involving yeast. Really need to tackle that! Don't be scared Jo! Happy Yeasty Baking!